A visit to Napa Valley is a must on every wine lover’s travel bucket list. The food, the views, and of course, the wines are some of the best in the world. I am fortunate to have checked off Napa from my “Someday List” (my version of a bucket list). Although, I will never actually remove it. There is so much to see, do and taste there. I can’t wait to go back! 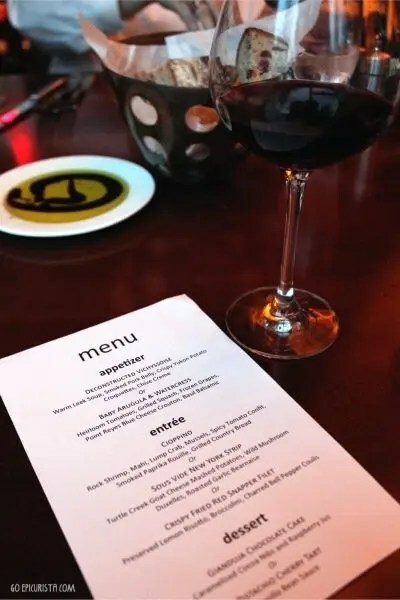 My recent visit to Napa, a wine country inspired eatery in the Hyatt Regency Orlando (formerly Peabody Orlando), brought back wonderful memories of sharing great food and wine with my family and it inspired dreams of future travels to this famous AVA. The décor is modern, casual-elegant, with lots of wood tones and subtle touches of bright colors. My favorite décor features are the various walls of wine. I would love this at home but I’m afraid the bottles would not last long on display. 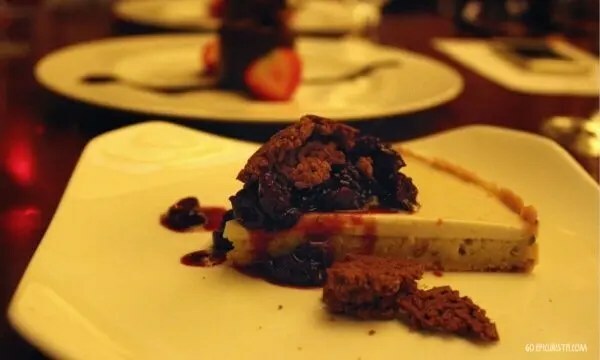 We dined from their Magical Dining Menu, part of Visit Orlando Magical Dining Month, featuring a three course dinner for only $33 per person. An incredible value, as most entrees are over $30, and also a good cause, as $1 per meal is donated to local charity, Foundation for Foster Children. 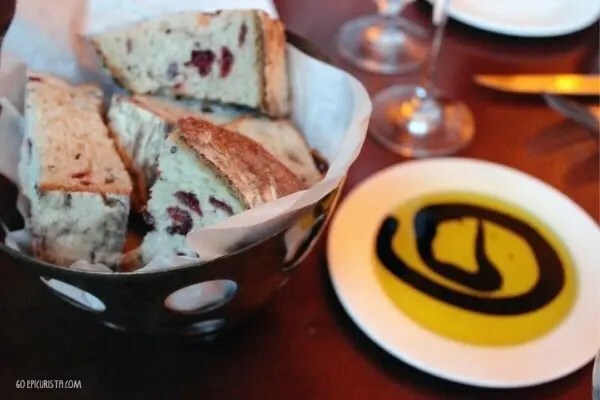 The rustic loaf of nut and cranberry bread, dipped in olive oil and balsamic vinegar, perfectly crisp and warm, provided a great start to our meal. Be careful not to fill up on the bread. I had to stop myself from eating the whole basket. Baby Arugula & Watercress Salad offered a nice assortment of heirloom tomatoes, char-grilled baby zucchini & squash, frozen grapes (loved these! ), and Point Reyes Blue Cheese croutons tossed in a sweet basil balsamic vinaigrette. It was a hearty salad! I could have made this a meal topped with grilled shrimp or salmon. The menu, featuring organic sustainable farm-to-fork dishes inspired by Northern California cuisine, changes seasonally. 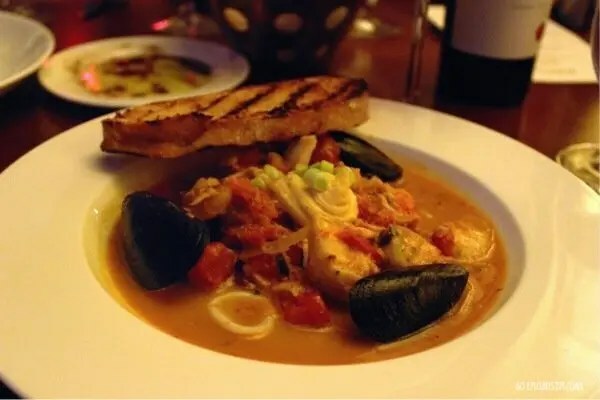 For my entrée, I ordered Cioppino, the signature dish created by Chef Jared Gross, which incorporates local Florida seafood to the traditional California dish. The only item which remains on the menu year-round, features a fragrant and flavorful spicy tomato broth with a generous amount of seafood including Florida rock shrimp, Cape Canaveral Calamari, mahi, lump crab, mussels, Waterkist Farms tomato confit, Healthy Living Farms fennel and leeks, topped with smoked paprika rouille. A definite #MustEat dish at Napa Restaurant Orlando. I’ve devoured some of the best cioppino in San Francisco and I loved the twist of the spicy tomato confit. 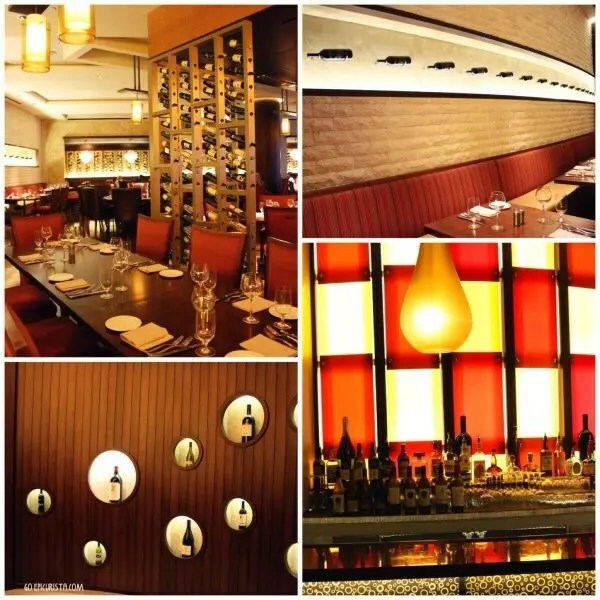 Napa Restaurant is not copying the original, they are successfully redesigning it. Sous Vide NY Strip, quite tender, accompanied by Turtle Creek goat cheese mashed potatoes, wild mushroom duxelles, topped with roasted garlic Bearnaise had all the classic flavors which satisfied my carnivorous side. 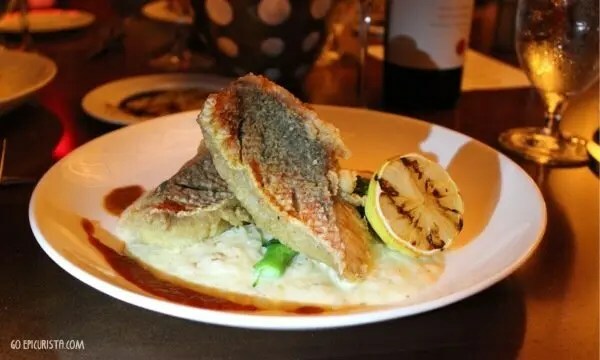 Crispy Fried Red Snapper Filet was well seasoned with crisp skin and flaky firm meat. Preserved lemon risotto was a creamy complement and the charred bell pepper coulis added both great color and flavor contrast. For dessert, I couldn’t resist Gianduja Chocolate Cake with caramelized cocoa nibs. 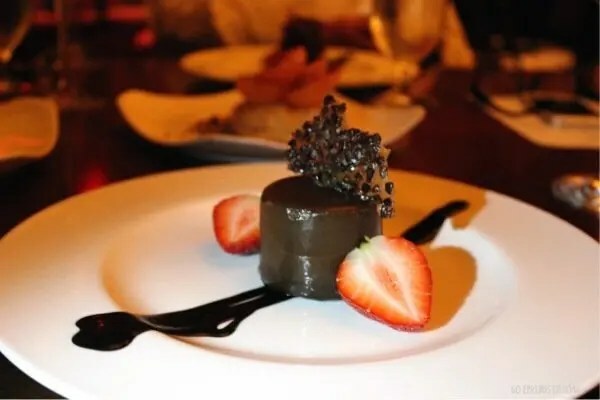 The creamy hazelnut chocolate mousse inside with a thick chocolate ganache exterior made this one a winner! Pistachio Cherry Tart with vanilla bean sauce, topped with a dried cherry preserves, provided a tasty non-chocolate alternative. It’s a perfect fall dessert. We shared a bottle of 2011 St. Francis “Old Vines” Zinfandel from Sonoma County. Everything a zinfandel should be – elegant with rich aromas and flavors of black fruit, spice and toasted oak notes was a perfect pairing. 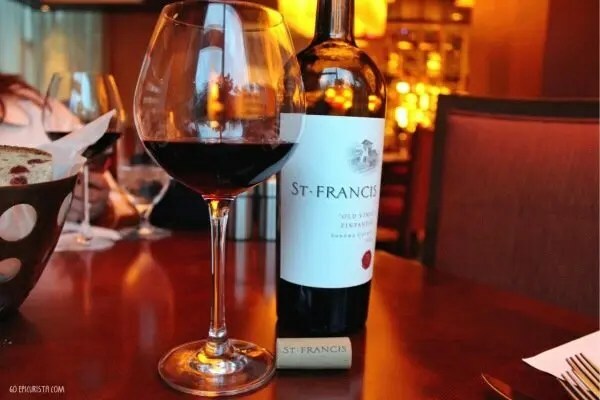 The wine list was recently changed to feature primarily well-known California wines. I would have liked to see some off-the-beaten-path wines included for a bit more excitement. It’s always fun finding new wines to love. The menu items we sampled, with exception of the Cioppino, were created especially for Magical Dining Month. 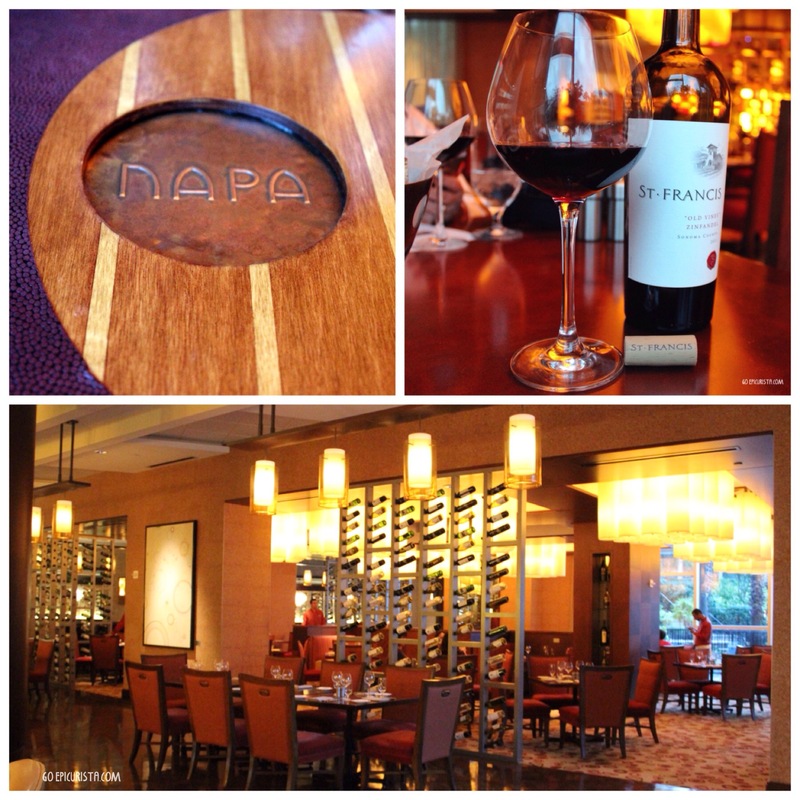 They gave us a great overview of the flavors, creativity and style of cuisine on the menu at Napa Restaurant. If you are lucky to be a guest of Hyatt Regency Orlando, don’t miss this delicious option for dining and entertaining. It’s perfect for conventioneers looking to impress. 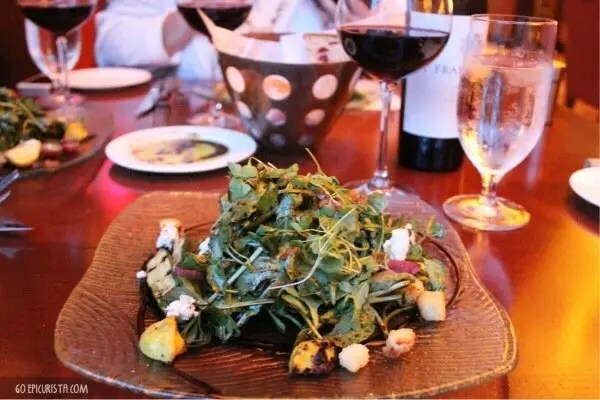 For locals, Napa Restaurant Orlando is a great spot for a special occasion dinner. Yes it will be a splurge, but that is a nice indulgence from time to time, and valet parking is complimentary. Pair it with an overnight stay and you have a wonderful weekend getaway. If Napa is on your Someday List, GO plan that special trip and #MakeSomedayHappen. Until then, GO to Napa Restaurant Orlando and be inspired. Your taste buds will thank you. Disclosure: I was a guest of Napa Restaurant Orlando this evening, as part of a media dinner. No other form of compensation was received. As always, all opinions are my own, and I only write about and share great food and wine experiences worth celebrating. Napa Restaurant Orlando is located at Hyatt Regency Orlando, 9801 International Drive, Orlando, FL. Open for breakfast 6am-10:30am, lunch 11am-2:30pm and dinner 6pm-10pm. 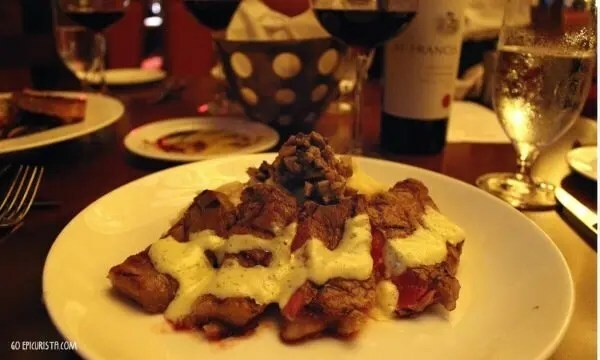 For reservations, call 407-345-4570.